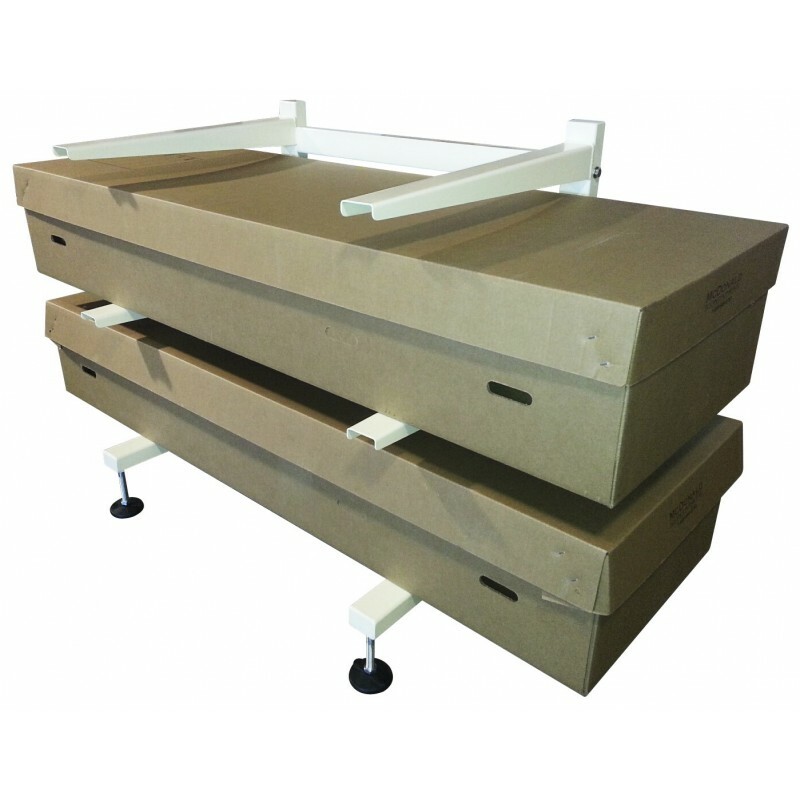 MOBI Cantilever Mortuary Rack - 3 Tier Only $874! Our Heavy Duty Cantilever shelving systems are built exclusively for the Crematory, Mortuary and Funeral home professionals. Our MOBI Mortuary Equipment and products division offers quality products at the best prices! We offer custom rack sizes and colors upon request. To discuss a custom rack, call our toll free number at 1-800-577-4851. The MOBI Cantilever mortuary rack is built on a durable, welded steel frame. We use high-quality materials, such as our oversized leveling feet that are independently rated at over 7000 lbs each. One can easily adjust the leveling feet to accommodate just about any un-level flooring surfaces. The cantilever rack can easily be moved or stored away by removing four bolts to collapse the unit into sections. The rack has an anti-corrosive powder coat finishing and is available in three, four, or five tiers.